I am trying to build the python api for an open source project called Zulip and I keep running into the same issue as indicated by the screenshot below. I am running python3 and my pip version is 10.0.0. The file in question is setup.py and the code that is messing up is when the pip.main() attribute is accessed to install a package. Now, I know this build should succeed because its an open source project, but I have been trying for hours to fix the dependency issue regarding pip.main(). I recommend reading through the discussion, I'm not sure this is the best approach, but it worked for my purposes. Or you can just stay with version 9.0.1, as your project requires version >= 9.0. Try building your project again. 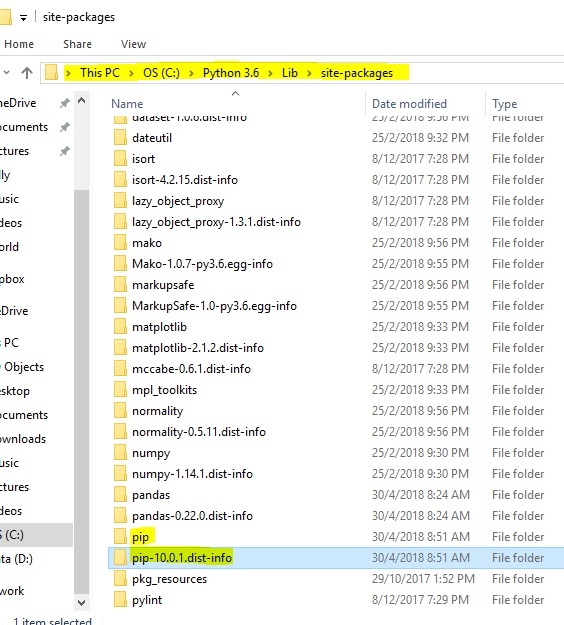 Navigate to this directory and move the pip folders elsewhere. Close your IDE if you have it open. 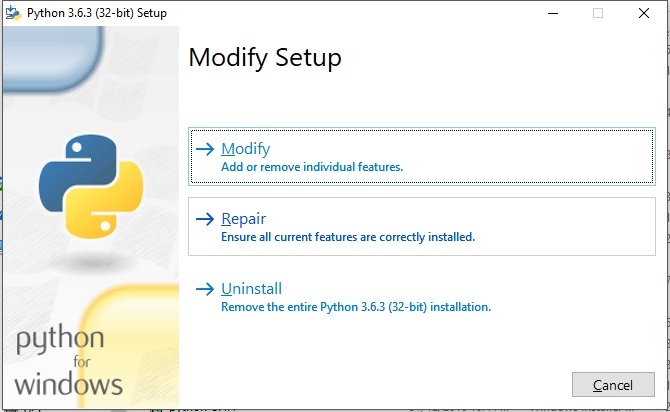 Press 'Repair' on Python 3. Your IDE should cease to detect pip packages and prompt you to install them. Install and keep the last stable pip version by blocking automatic updates. I faced the same error while using pip on anaconda3 4.4.0 (python 3.6) on windows. Or if lower version pip required, mention the same in the command.